I'm looking for some 14 pin Texas Instruments sockets with the notch. I am replicating an old board (non-Apple) from the 70's and apparently they used these. After a bunch of research, I found your forum and read that some of you might have these although they are not 100% correct for your replication purposes. I had no idea such a community existed but your hobby/work is really cool and interesting. Anyway, I'm on the hunt for about 20 of them and have exhausted my search on the web, including ebay. If anyone can help, please feel free to email me at and let me know how many you have and how much you want. If you need any old IC socket, Jameco still sells DIP sockets. Been buying from Jaemco since the 80's. 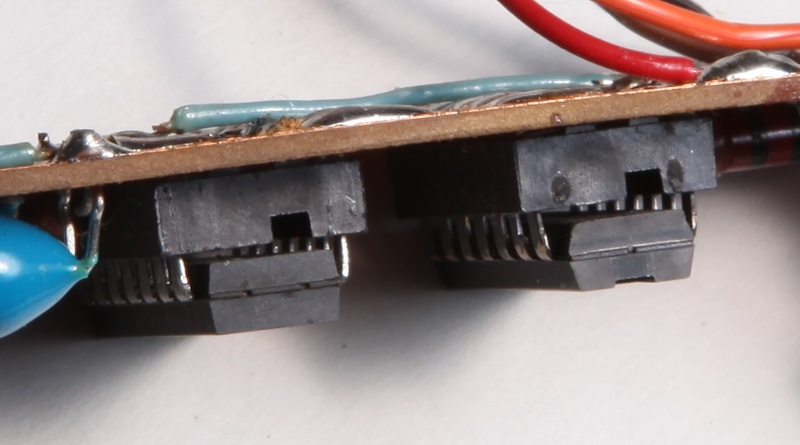 Not sure these sockets are TI, but they have the expected notch signifying location for pin 1.